19 Foot Electric Scissor Lift Rental – JLG 1930ES , is available for rent in Rochester NY, Ithaca NY and the entire Western New York region from the Duke Company. 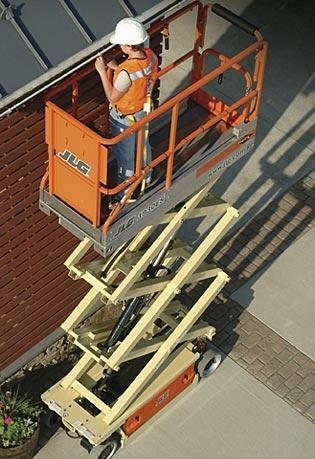 The JLG 1930ES electric scissor lift is ideal for indoor and outdoor operation. Its narrow width enables maneuverability through doorways and tight aisles.